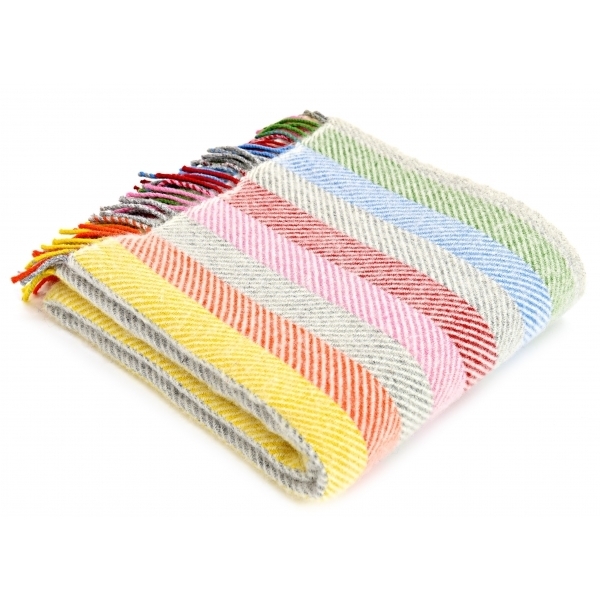 This colourful Tweedmill Pure New Wool Rainbow Grey Stripe Knee Lap Blanket is ideal for keeping yourself warm and cosy at home or on your travels. The blanket is made in the UK from 100% pure new wool using only the finest yarns, making it as high in quality as it is attractive. Great blanket just what I wanted. I love that it is wool and made locally. The packaging meant I had to air it for a while before using it.